Joe Scarborough is singing a new tune about Donald Trump. Or to put it another way: He is intensifying his trolling. The MSNBC host is promoting his new name for Trump, "Amnesty Don," with a music video posted to Facebook on Wednesday. The "Amnesty Don" song is virulently anti-Trump, describing the GOP nominee as a "soft and flaccid man" with "tiny little hands." "He said he'd build a wall for us, but then he up and ran," Scarborough sings, alluding to Trump's muddled message about immigration policies: "When the cowboys smell the dirty con of Amnesty Don." 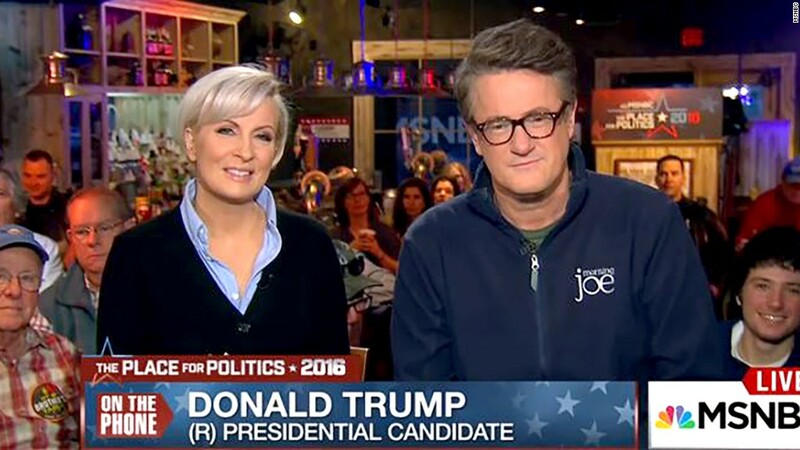 The video is all the more intriguing because Scarborough and Trump were friendly for years -- and that clubbiness was reflected on "Morning Joe" until February, when Scarborough began to staunchly oppose Trump. Last week Trump repeatedly criticized Scarborough and his co-host Mika Brzezinski with highly personal tweets. Scarborough, who sings and plays in a band when he's not co-hosting "Morning Joe," hatched the idea for the song on Monday morning, when he sought to brand Trump as "Amnesty Don" by repeating the nickname over and over again. Scarborough's stunt worked: the hashtag #AmnestyDon was a top trend on Twitter Monday morning. During the show, he told Brzezinski, "I've got a good idea... I think i need to write a song called 'Amnesty Don' and maybe circle it into, like, 'Trump the Musical.'" He said it would be a country Western song. He worked on the lyrics after the show, recorded the vocals and instruments with a bandmate Monday afternoon, and put the finishing touches on the video Tuesday. A sampling of the lyrics: "He said he'd deport Mexicans before they raped our wives/And ban a billion Muslims before they took white lives/But then he won the primary, and his courage took a dive." The video splices together unflattering pictures of Trump with footage from old Western movies. Scarborough promoted it on his Twitter and Facebook accounts -- though, notably, it did not appear on MSNBC's "Morning Joe" web site or social media. MSNBC declined to comment about the video. Trump used to have a cordial, even cozy relationship with Scarborough and Brzezinski -- at one point calling them "supporters." Radio host Hugh Hewitt even floated the possibility of Scarborough serving as Trump's running mate. But the relationship turned sour at the end of February when Scarborough deemed Trump's failure to immediately disavow the support of former Ku Klux Klan leader David Duke "disqualifying." Trump has repeatedly tweeted that he does not watch the show anymore -- but he does still complain about the show's content.